The 54 Black Forest ascents of this site probably include the ten hardest ones of this mountain range. 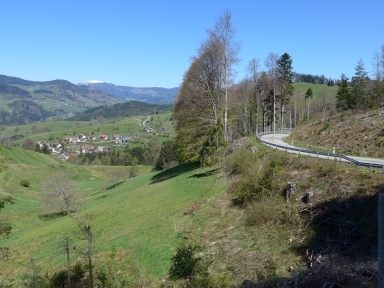 The green Black Forest is a wonderful region for cyclists, who like to ride uphill. It has a dense network of well-paved, quiet roads and many climbs form a significant challenge mainly because they contain very steep sections. Sixteen ascents of this website have a section of one kilometer steeper than 12%. On this website, six Black Forest climbs are harder than the toughest one in the Vosges. On the other hand, 1000 elevation meters are, with two exceptions, not exceeded. The landscape of many climbs starts with meadows in a valley, followed by a relatively long section through the forest and ends with a short part permitting wide views.